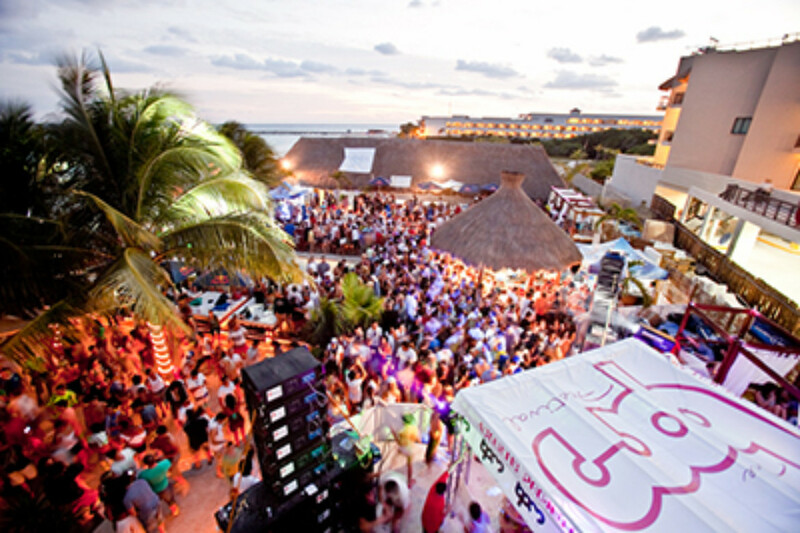 Playa comes alive with festivals, art and culture! Welcome to the most lively season in Playa del Carmen, where the streets and beaches are alive with festivals, music, art and culture. Visitors from all over the globe, particularly those fleeing the biting-cold winters of the Northern hemisphere, converge on Playa’s shores to soak up the Caribbean lifestyle and unique cultural offerings. There is so much to discover and experience this time of year in Playa del Carmen, you won’t have any trouble filling your time with us. From the world renowned electronic music festival, BPM, to the open air art gallery on Fifth Avenue, there is something for everyone as Playa comes alive to welcome you all. There is a heightened energy in the air this time of year during the BPM festival, which takes place on Mamitas beach and across several other venues. World-class electronic musical acts take over the decks to create one of the most exciting festivals in the world. Taking place from new year’s eve to January 12, the festival attracts music lovers from across Mexico and beyond who party the night away under the stars on the Caribbean sea. If you enjoy electronic music, a BPM ticket is the hottest in town. If you simply want to see what all the fuss is about, wander along the beach and listen to the beats from outside the festival grounds. If you are interested in other artistic pursuits, why not check out the art market on Fifth avenue. Operating most evenings during high season (with the official night being Thursday), the market showcases some brilliant local artist and a range of mediums including photography, sketches and paintings. From modern abstract pieces and Maya-inspired designs to traditional landscapes and some excellent portrait photography, there is something for every taste at Playa’s outdoor art gallery. Best of all, it’s free to look, and the artists are always happy to chat about their work and inspirations. If you wish to purchase a piece, packaging and shipping can also be arranged. Imagine an original work from a local artist hanging on your wall at home to remind you of your time in Playa del Carmen. Playa doesn’t just come alive with cultural and artistic wonders after dark, however. During the day at Plaza Fundadores at the southern end of town, adjacent to the lovely white church, an amazing cultural performance takes place. Danza de las Voladores, or the dance of the flyers, is an ancient Mesoamerican traditional ritual. The ritual consists of dance and the climbing of a 30 meter pole from which four of the five participants then launch themselves tied with ropes to descend to the ground. The fifth remains on top of the pole, dancing and playing a flute and drum. It’s well worth waiting for the performers to climb to the top of the pole to begin their impressive spiral descent, and yet another event in Playa del Carmen which is free, unless of course you would like to leave a tip, which the performers appreciate. Playa is officially alive with festivals, exhibitions and cultural performances! We hope you enjoy exploring this lively town and experiencing the eclectic activities on offer.